Leave it to the Greeks to combine lamb and grapes. At first blush you might scratch your head, but then you realize it’s a great idea. This combination also looks very pretty. The recipe requires lamb shanks which is one of my favorite cuts of lamb but increasing difficult to find in a regular supermarket. You may have to ask for it. 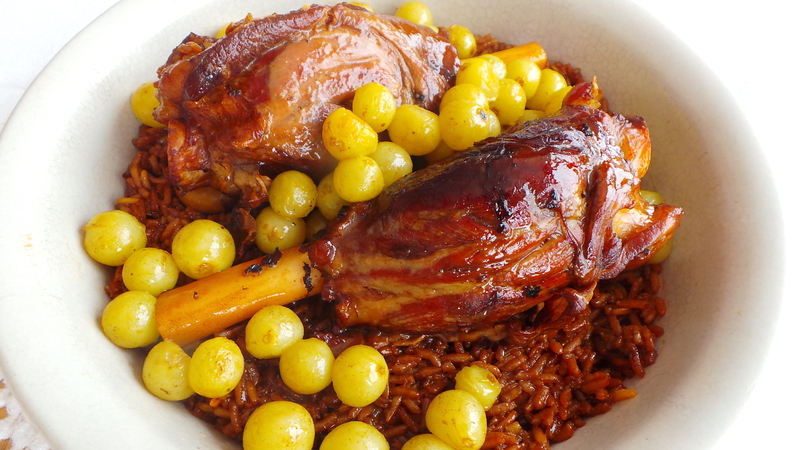 A preparation of braised lamb shanks, rice, and grapes. 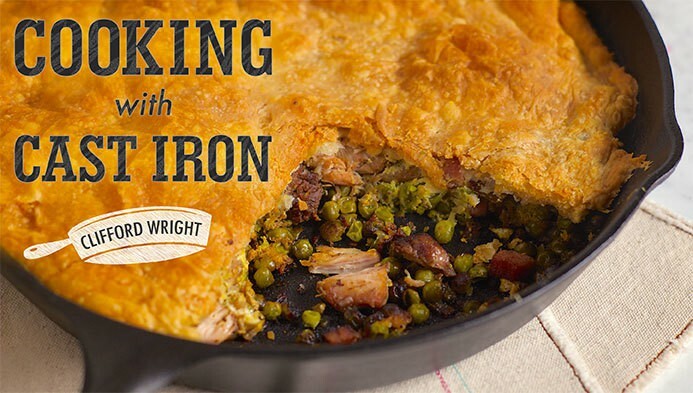 In a flameproof baking casserole, heat the olive oil over medium heat then cook, turning, the lamb shanks until golden brown, about 8 minutes. Add the onion to the shanks and cook, stirring, until golden, about 5 minutes. Add the chicken broth, salt, pepper, and bay leaf. Cover and place in the oven until the meat is fork tender, about 2½ hours. Pour off the liquid saving 2½ cups and keep the lamb warm. Meanwhile, melt 1 tablespoon butter in a saucepan over medium heat and cook, stirring, the rice for 2 minutes. Add the reserved broth, cover, reduce the heat to low and simmer until the liquid is absorbed, about 20 minutes. Keep warm. In a sauté pan, melt the remaining 2 tablespoons butter over medium-high heat and cook, shaking the pan, the grapes until they become bright green in a couple of minutes. Spread the rice on a platter and top with the lamb shanks then spoon the grapes over the lamb and serve.